Want to be as confident and strong as a Navy SEAL? Chances are you’ve already heard of the famous US Navy SEALs – the US Navy’s primary Special Operations group. These soldiers are the elite, one of the most highly trained special operations groups in the world. When the United States needs highly expert, extremely capable, super-buff, and armed-to-the-gills fighters, it’s the SEALs who get the call. These men are part of the United States Navy’s sea, air and land elite force. They’re tough, but they also uphold a strict moral code, and they have a clarity of thinking, courage, and loyalty to one another that is truly admirable. And they get the job done. 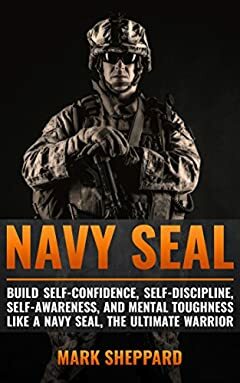 In this book, we have put together the information you need to take on life like a Navy SEAL and to challenge yourself to live your best life. •The qualities of success the Navy SEAL’s way! If you are ready to take on the challenge, scroll back up and click buy for an immediate download! Read on your Kindle, Iphone, Ipad, Android cellular phone or tablet, laptop, and computer with Amazon Kindle app.